Logan Bagshaw helps the Rangers pull away for their 26th straight win, 51-40. 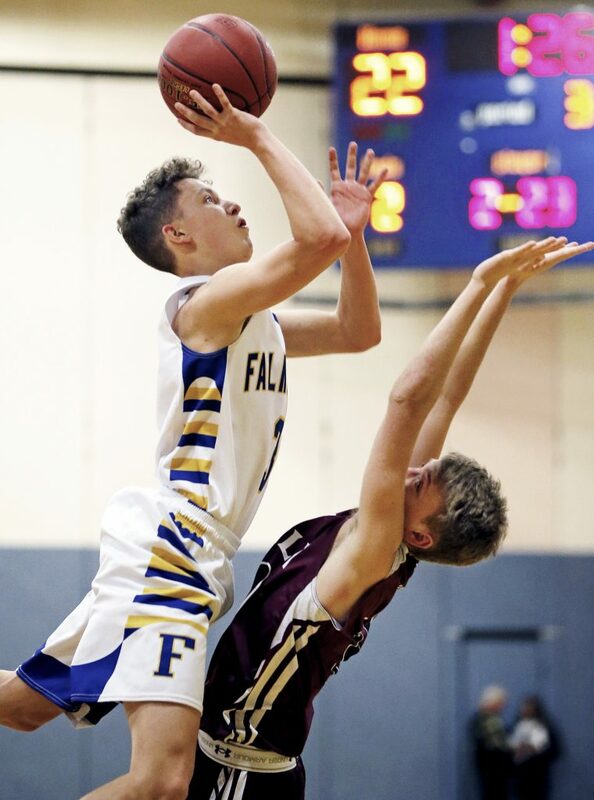 FALMOUTH — Logan Bagshaw didn’t score in the first half Thursday night, but his coach encouraged him at halftime to keep shooting. He did, and the results were impressive. 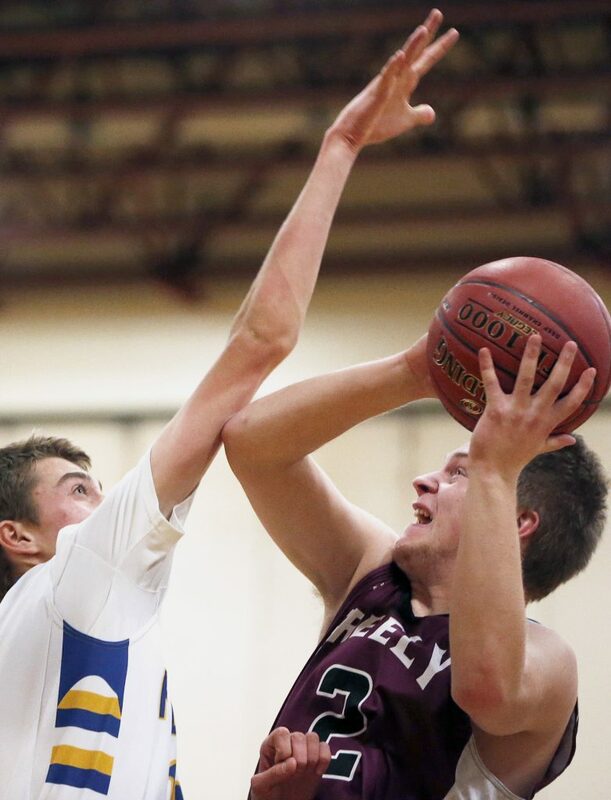 Bagshaw, a sophomore guard, sank four 3-pointers while scoring all 17 of his points during the second half to lead Greely to a 51-40 victory over Falmouth in a Class A South boys’ basketball game Thursday night. “I wasn’t feeling it in the first half, but (I) definitely (had) confidence in the second half,” said Bagshaw, who scored 12 points in the fourth quarter to help the Rangers pull away. 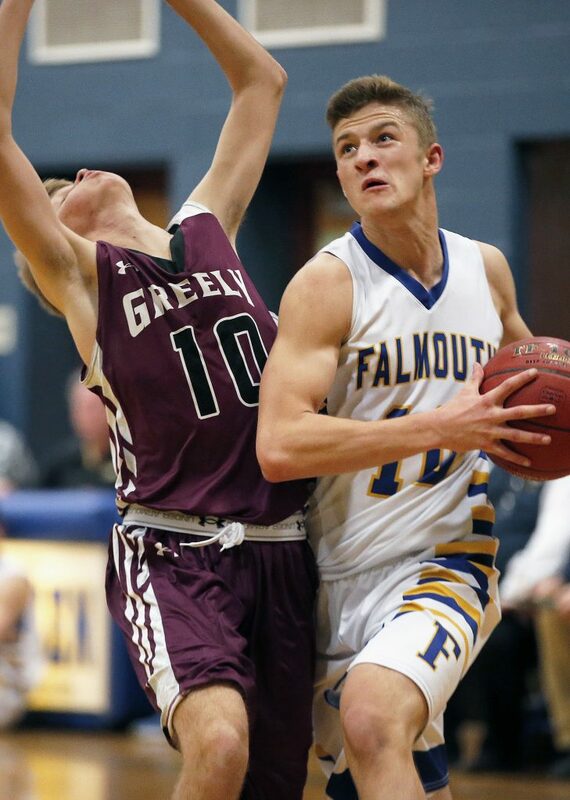 Falmouth held an 18-15 lead at halftime, and Greely’s 25-game winning streak was in jeopardy. The Yachtsmen opened the second quarter with an 8-0 run to take a 16-9 lead. The lead could have been larger, but they missed four free throws during the run, including the front end of a 1-and-1. 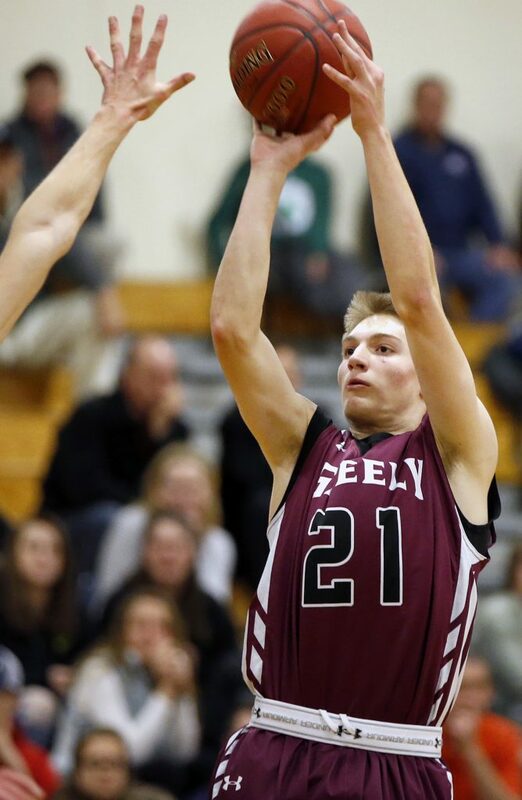 Greely (4-0) answered with six consecutive points before Doug Cooke sank two free throws for Falmouth (3-2). Greely tried to speed up the game in the second half by switching to a half-court trap defense. An 8-0 run that started midway through the third quarter sent the Rangers into a 28-22 lead. 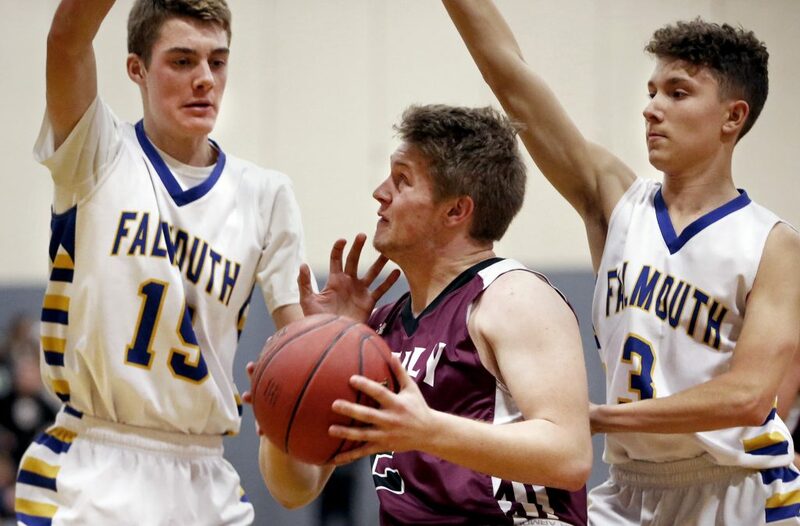 Falmouth’s Jack Bryant sank two free throws in the closing moments of the quarter, and a basket by Brady Douglas and two free throws from Sam Manganello made it 28-28 with seven minutes left. The turning point came when Bagshaw hit a 3-pointer from the top of the key and was fouled on the play, resulting in a four-point play that gave Greely a 32-28 lead. The Rangers opened their largest lead when Bagshaw sank back-to-back 3-pointers to make it 49-36 with 1:41 remaining. Zack Brown scored 13 points for the Rangers. Alex Marcotte, Bryant and Manganello each finished with eight points for Falmouth.